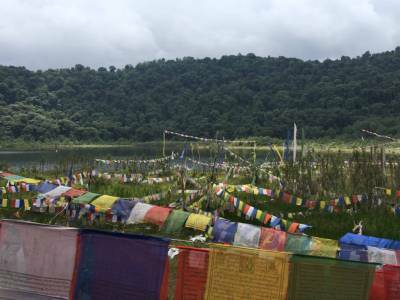 Khecheopalri Lake, also known as the Wishing Lake is a sacred lake for both Buddhists and Hindus is ensconced in the midst of the Khecheopalri hill. As the legend goes this place was once a grazing ground having lots of stinging nettles. One day when a Lepcha couple was peeling off the bark of the tree, they observed a pair of conch shells falling from the sky and get embedded into the ground. The ground trembled violently and a spring of water came out which soon transformed into a lake. Another Legend tell a tale that the lake has a shape of Godess Tara’s footprint. Deemed sacred, the lake thus began to be worshiped locally. However, there are different versions from different faiths. 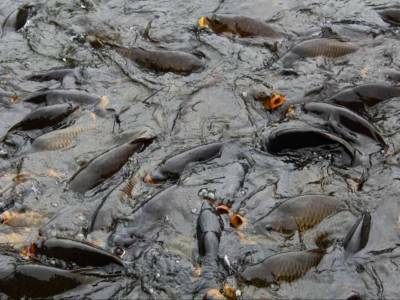 The miraculous part of the lake is that surface of the lake clean in spite of it being surrounded by the thick forest. Leaves do fall on it sometimes but the birds fly in and instantly pick them away. Large number of pilgrims from different directions come and make wishes all through the year. Things to do in Khecheopalri Lake as tourist point of view is overnight stay near the lake can find various trekker's outlets and lodging facilities. 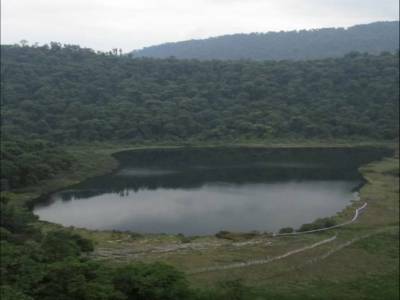 Khecheopalri Lake is also more popular among the trekkers and adventure tourists. 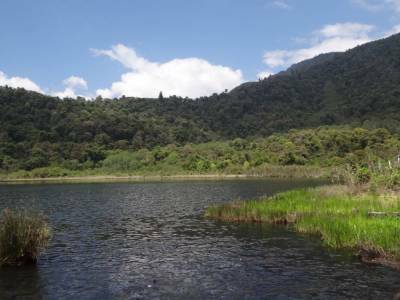 Khecheopalri Lake only a 28 KM drive from Pelling of Sikkim. 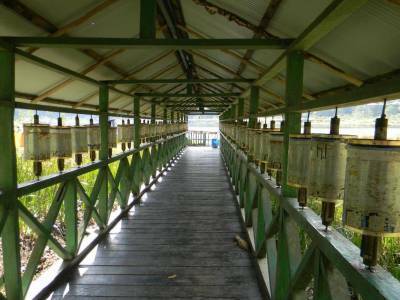 Get quick answers from travelers who visit to Khecheopalri Lake.